Interstate 10, approaching the exit for Fort Hancock, Texas. 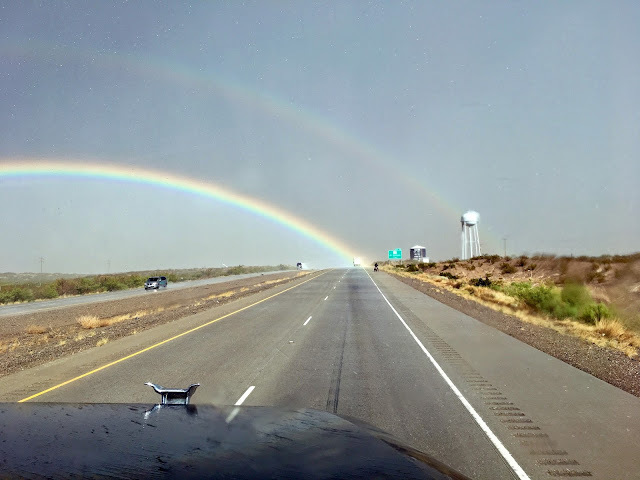 We caught this double rainbow after driving through a hellacious rain storm. 2012: Islands Are Out, But What About Canals?